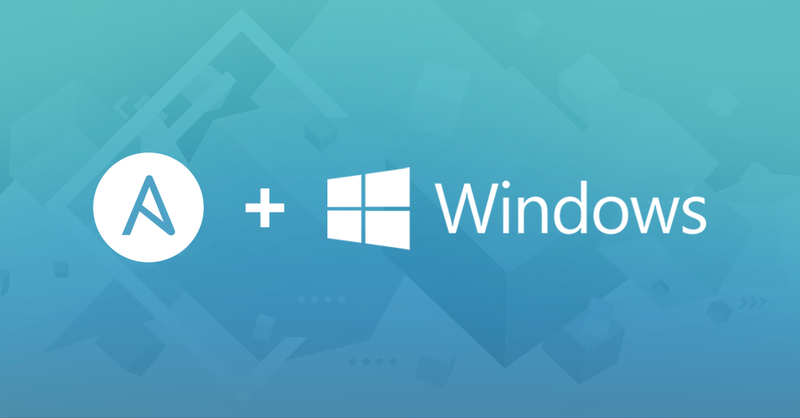 Hello, and welcome to another Getting Started with Ansible + Windows post! In this article we'll be exploring what Desired State Configuration is, why it's useful, and how to utilize it with Ansible to manage your Windows nodes. So what exactly is Desired State Configuration? It's basically a system configuration management platform that uses the declarative model; in other words, you tell DSC the "what", and it will figure out the "how". Much like Ansible, DSC uses push-mode execution to send configurations to the target hosts. This is very important to consider when delivering resources to multiple targets. This time-saving tool is built into PowerShell, defining Windows node setup through code. It uses the Local Configuration Manager (which is the DSC execution engine that runs on each node). Microsoft fosters a community effort to build and maintain DSC resources for a variety of technologies. The results of these efforts are curated and published each month to the Powershell Gallery as the DSC Resource Kit. If there isn't a native Ansible module available for the technology you need to manage, there may be a DSC resource. How Do You Use DSC with Ansible? DSC Resources are distributed as PowerShell modules, which means that it works similarly to Ansible, just implemented in a different manner. The win_dsc module has been available since the release of Ansible 2.4, and it can influence existing DSC resources whenever it interacts with a Windows host. To use this module, you will need PowerShell 5.1 or later. Once you make sure that you have the correct version of PowerShell installed on your Windows nodes, using DSC is as easy as executing a task using the win_dsc module. Let's walk through what's happening in the above playbook: it starts by installing the DNS Server on the target, then the xDnsServer DSC resource module is installed. With the DSC resources now installed the xDnsServerPrimaryZone resource is called to create the zone, then the xDnsRecord resource is invoked with arguments to fill in the zone details for our my-arbre.com site. The xDnsServer resource is downloaded from PowerShellGallery.com which has a reliable community for DSC resources. Keep in mind that the win_dsc module is designed for driving a single DSC Resource provider to make it work like an Ansible module. It is not intended to be used for defining the DSC equivalent of a playbook on the host and running it. The resource_name must be set to the name of a DSC resource already installed on the target when defining the task. Matching the case to the documentation is best practices; this also makes it easier to tell the difference of DSC resource options from Ansible's win_dsc options. Now you know the basics of how to use DSC for your Windows nodes by invoking the win_dsc module in an Ansible Playbook. To read more about Ansible + DSC, check out our official documentation page on the topic. Special thanks to my teammate John Lieske for lots of technical assistance with this post. And as always, happy automating!